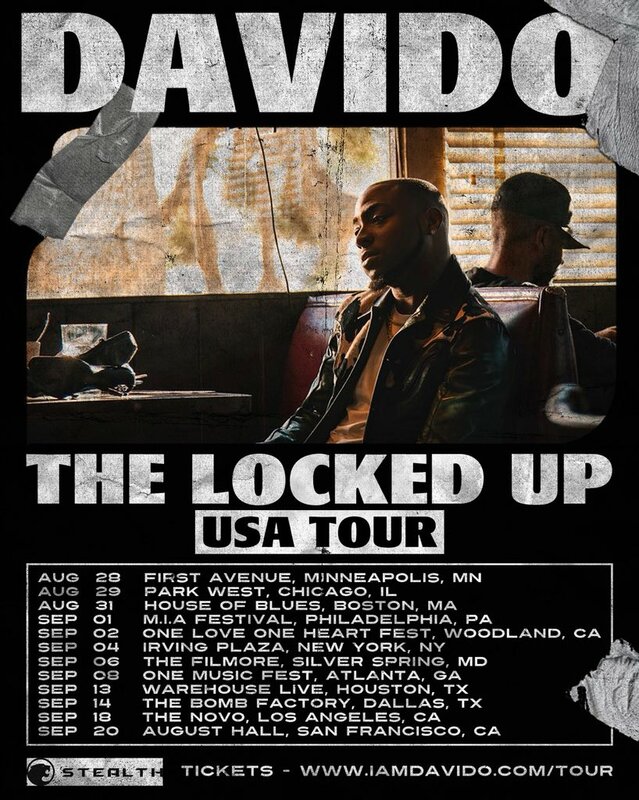 Nigerian superstar artiste and DMW record label boss, Davido has announced dates for his USA tour tagged “The Locked Up USA tour”. The singer announced the dates on social media stating that it will run through 12 cities. The tour is scheduled to start on August 28, 2018 at Minneapolis, Minnesota. Davido also revealed he will be dropping new music all week next week.